Designer or Maker: Unknown (I believe the hang-tag to be a replacement. This piece is not in the style of Napier. Condition: In excellent vintage condition. There may be some very minor surface wear on each plaque link, but it doesn’t appear to have been worn. 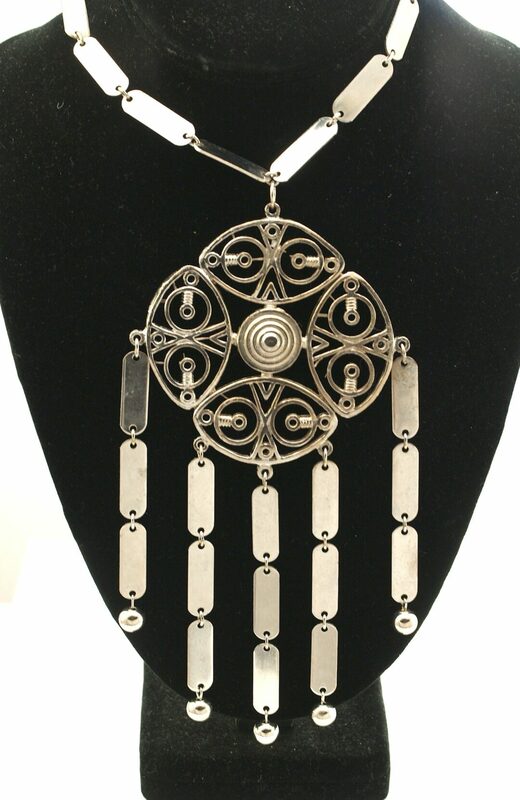 This is a very interesting silver tone 1970s pendant necklace. The chain is made from rectangular links with rounded edges. Each link is highly polished on both sides. Adding drama to the piece, and suspended from the plaque links is an open metalwork pendant that consists of four inner segments that appears to look like a tribal face to me. Suspended from the four-sided pendant are five chains terminate with a spherical bead. The link plaques remind me of Pierre Cardin’s work. 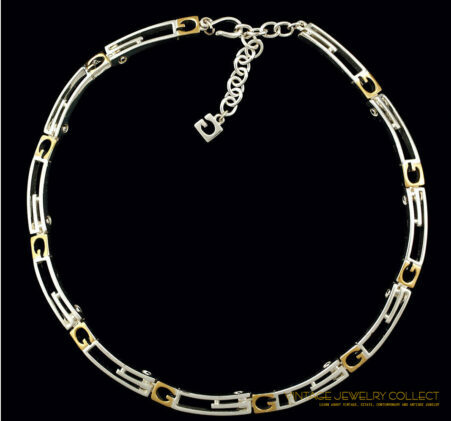 The necklace has a spring ring clasp with an adjacent trademark tag. The trademark tag I believe was put on intentionally. It reads “Napier,” but as a Napier expert, I do not think this piece is Napier and is being sold as an unsigned piece. 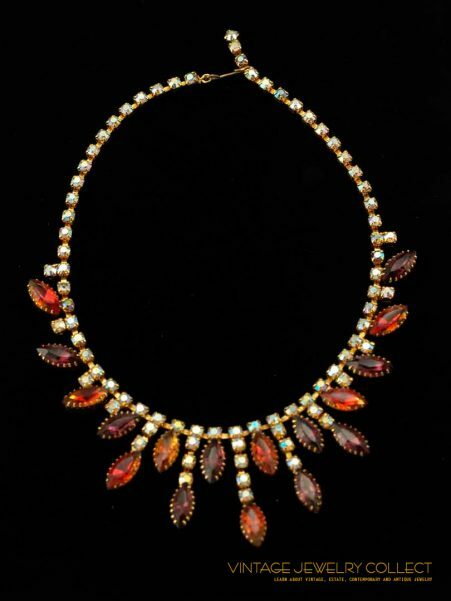 It has terrific Boho style with a sleek flair.